Do you want to create your own Bridal Bouquet? 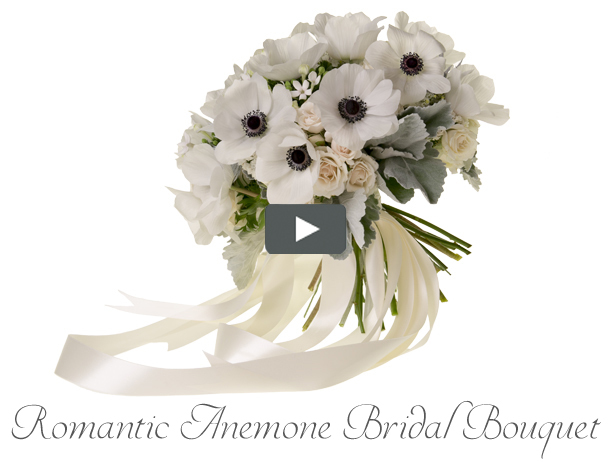 Do you have a love for Anemones and Romantic Style? Then we have the perfect How-To Video for you! Leanne, from the Floral Design Institute, is going to show you how to create this whimsical and romantic wedding bouquet using wholesale flowers from FiftyFlowers. Leanne chose to use one of our New DIY Filler Flower Packs, the Papier Mache Textured Filler Pack*, along with sweet Creamy White Spray Roses and popular White Anemones with Black Centers. And the end result is nothing short of dreamy! Watch The Video. *Our Papier Mache Textured Filler Pack includes a super fun textured mix of Statice, Eryngium aka Thistle, Limonium, Dusty Miller, Dianthus and Bouvardia.